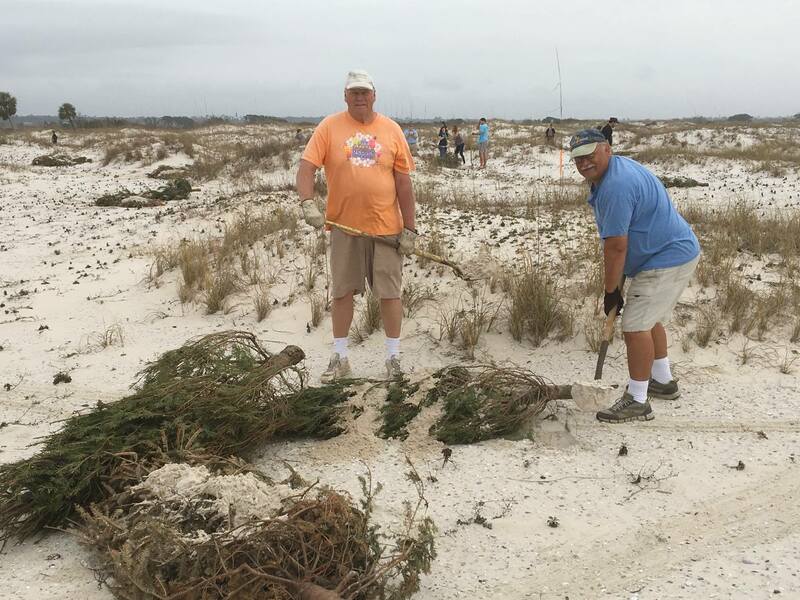 Every year, the local residents of Gulf Shores and Orange Beach donate their Christmas trees to be re-purposed for dune restoration at Gulf State Park. By placing the trees on the beach in strategic locations, the park staff is able to help new dunes grow and provide additional habitat for the Alabama Beach Mouse, nesting sea turtles, and shore birds. This approach is so resourceful that it was featured in the March 2016 issue of Landscape Architecture Magazine. You can read the full article here. 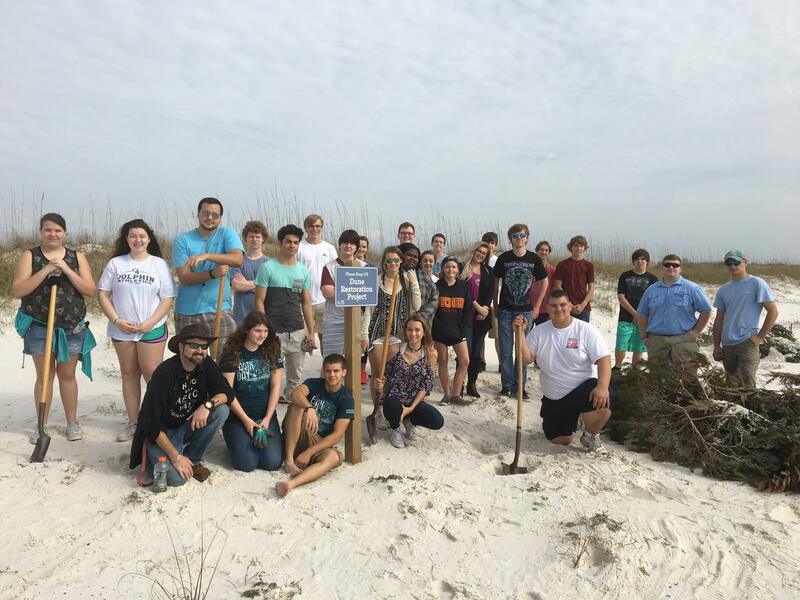 This year with the help of snowbirds and students from Gulf Shores High School, the park was able to place over 200 trees on the beach and stabilize them with sea oats and panic grass. Thanks to everyone who donated their trees and time to restore the dunes at Gulf State Park!